James emigrated with his father and siblings after his mother died in Scotland. To help farm, they took in a Bernardo Boy, Robert Armstrong. 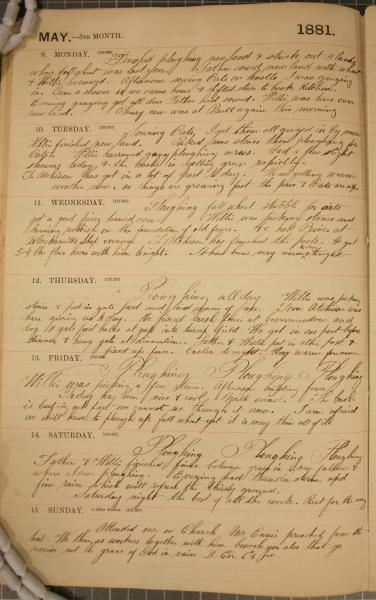 James does much of the hard labour with his little brother Willie and gets tired of “Ploughing, Ploughing, Ploughing.” It is heart wrenching to learn that just a few years after the diary, James, dies of appendicitis during a trip to Owen Sound. His father sells the farm thereafter.